Over the past weekend, I was very fortunate to have the chance to travel to Khentii Aimag and to speak to a number of locals. I was particularly interested in how the campaign messages of the three candidates played in the countryside and to what extent Mongolians in rural areas perceive politics to be focused too much on Ulaanbaatar. 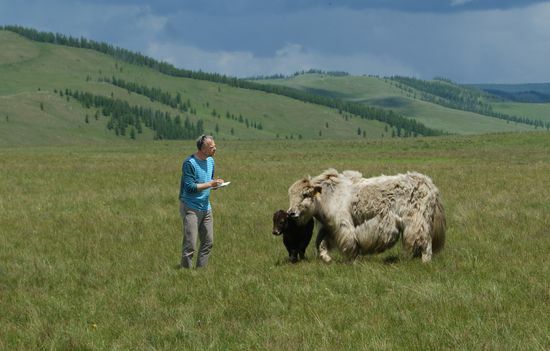 Here, I am specifically investigating the views of two of the (reportedly) 50 million livestock living in Mongolia who are still disenfranchised by the Ulaanbaatar and androcentric election system. This entry was posted in Curios, Presidential 2013 and tagged Julian Dierkes. Bookmark the permalink.